LONDON (Thomson Reuters Foundation) - A new $65 million initiative to boost malaria control and combat resistance to insecticides by improving access to new, low-cost anti-mosquito sprays across Africa was announced on Monday. The initiative by the health agency UNITAID and non-profit group IVCC will be rolled out over four years with a goal of protecting as many as 50 million people in 16 African countries. Although effective in fighting malaria, the indoor spraying of walls has fallen by 40 percent in the past four years due to increased resistance to older products and high cost of new alternatives, UNITAID and IVCC said. "If the resistance continues to spread unabated, there could be 120,000 more deaths from malaria a year," Lelio Marmora, executive director of UNITAID, said in a statement. "Unless newer insecticides are used, we run the risk of considerable reversals in the fight against malaria." The new project will initially use financing from UNITAID to lower the price of new products with a long-term goal of bringing down prices by encouraging competition. Malaria prevention measures - such as bednets and indoor and outdoor spraying - have averted millions of deaths and saved millions of dollars in healthcare costs over the past 14 years in many African countries, according to the World Health Organisation (WHO). In the past five years, 60 of the 78 countries that monitor insecticide resistance have reported mosquito resistance to at least one insecticide used in nets and indoor spraying. In December, the WHO's annual malaria report showed deaths falling to 438,000 in 2015 - down dramatically from 839,000 in 2000 - and found a significant increase in the number of countries moving towards the elimination of malaria. 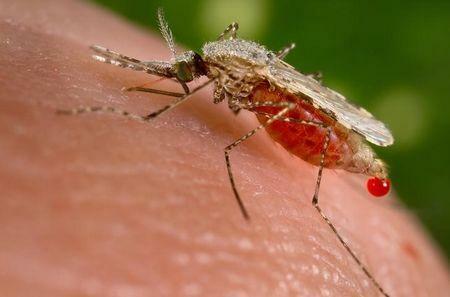 The United Nations wants to cut new cases and deaths from malaria, a parasitic mosquito-borne infection, by 90 percent before 2030.